Midterm exams were probably looming or a paper was probably due or an essential book probably needed to be read, but, true to form, our minds were elsewhere. The smell of Nag Champa hung in the air, only slightly obscuring the smell of latent chili-cheese fries, stale beer and a baker’s dozen other odors. We sat on dirty couches which sat on dirtier carpet. Somewhere outside, deep bass from one apartment blended with Billy Corgan’s screams from another. The room was lit only by someone’s grandma’s old lamp and the glow from Sega’s NHL ’94. There may or may not have been a lava lamp in the room. It was college and, that night, I learned a lesson that has stuck with me more than most others I learned in much more sanitary conditions during those four years of my life. Cassidy was strumming a guitar badly and Nick was thumbing through a Far Side daily calendar. I was fully engrossed in sitting, if memory serves. Then Nick came upon one cartoon that elicited more than just guttural giggles from his audience, it actually started a quasi-philosophical conversation. OK, a quasi-quasi-philosophical conversation, but it was better than listening to Cassidy play the guitar. (This is where I was going to reprint the cartoon, but Creators Syndicate informed me of Gary Larson’s firm policy of not allowing any reprinting of Far Side cartoons on any electronic medium, even on weensy little insignificant blogs like this one. I can, however, tell you about it. Since that night on that unspeakably filthy couch, I have been vigilant about discovering my bananas and I truly feel that my life is richer for that awareness. I won’t drone on about all of the banana detecting I’ve done (did I really just say that? ), but I will give you an example. One of my bananas is the band Tool. The music that those four guys (five to be precise, considering the two different bass players) have bestowed upon my life has triggered more passion, joy, introspection and love than I can possibly put into words. I have cried at two different shows. Cried. At rock concerts. Twice. Mind you, we’re not talking about a flailing arms, screaming, losing control of my bodily functions kind of crying. It was more of the tears slowly finding their way down my cheeks, physically moved by the moment kind of thing, but still. I also have had to stop listening to a few of their songs while driving, most notably their cover of Zeppelin’s ‘No Quarter’, because I just stop paying attention to everything but the music. They have touched my life with their music and my life is infinitely better for it. Tool is one of my bananas. Since becoming a father, this whole banana identification idea has found new life. I think of the joy that mine have brought me and I can’t help but think of my girls discovering theirs (Oh, Lord). I watch them light up at all of the little things that make little girls light up and marvel at the infinite number of bananas kids are capable of finding. But then I project forward to when they are adults, more cognizant of themselves and capable of that deeper love that comes with deeper understanding, and I can’t wait to get to listen to them talk to me about things like I talk to people about Tool. Actually, I can wait – but I am really looking forward to it. Life is sometimes excruciating and sometimes astonishingly wonderful. As I learned in that dank apartment almost twenty years ago, though, if we just take a little time to find our bananas, we can almost will ourselves into being astonished. Here’s a peek at my aforementioned banana. I would love to hear about yours. This entry was posted in Uncategorized and tagged bananas, college, Far Side, Gary Larson, joy, Nag Champa, Tool. Bookmark the permalink. I too am a Tool (or more generally, a Maynard) fan, and will soon be a father. One of the things I’m most looking forward to is watching as my son or daughter discovers their “bananas”. Thanks! You sound like a wise man, indeed. 🙂 When I was writing the part about Tool I had to severely edit myself not to make the whole post about them and, specifically, Maynard. I am not a proponent of the celebrity culture or prone to being star struck at all, but if I met him I would have a great deal of trouble staying composed. His writing has been with me through many wonderful and difficult times in my life. ‘Pushit’ alone has seen me through some moments in my life that I questioned I could find my own way through. Thanks for taking the time to read and comment, Quentin. And congrats on your imminent fatherhood! HAD TO MISS AN APC SHOW?!?!? That is too much to take, my man. Give your friend a hug for me. Thanks for sharing your time here with me – it’s always nice to connect with fellow Tools. This is going to sound completely ridiculous, but I find my banana(s) in organization. There is little that I find more pure satisfaction or joy in that organizing and good organization. Okay, maybe not little, but that is one big . . . banana. So, why does someone who finds bananas in organization and order have a child? I have no idea, but he has given me reason to look for other bananas and perhaps that, that desire to see something new, is even better than organization. I wouldn’t be surprised if my wife said that organization was one of her bananas, too, so I wouldn’t be a good, impartial judge of said banana’s ridiculousness. (or maybe I would be a great judge – hard to tell) Really, though, there are no boundaries for bananas as far as I can tell. Now, as for the organization/child issue – perhaps contradiction is another of your bananas. Love the Alex Grey artwork in the tool video. He’s one of my favorite artists. Around here my husband Eric chants, “Funkybatt Monkeys.” That’s us and we love finding our bananas! Thanks for a fun read. I could line my house with that man’s work. I’m glad you enjoyed it – thanks for sharing your time, Maggie. dude, great post. . . i too have found several bananas in my life (most recently moldy, squished and brown between couch cushions), but I have never thought to phrase it like that. And I like it. My musical bananas are Gillian Welch and David Rawlings, Doc Watson and Jorma Kaukonen (and probably others, but those come to mind immediately). One of my biggest bananas (hey, now! )–and perhaps one of yours too?–is writing! How cool is that? Thanks for this insightful post! Thank you, my friend. Yeah, the definition of bananas (and constitution thereof) of bananas morphs a tad with the introduction of the progeny, Just keep some clean towels handy and everything should work out fine. I am going to have to spend more time with your bananas (whoa!). You introduced me to each of these in name and I have listened a bit to all of them since, but I need to dedicate more time to the whole bunch (pun embarassingly intended). And, yea, the ol’ written word may be the biggest and yellowist of them all. Thanks, brother. what a beautiful, beautiful post – straight from your heart. 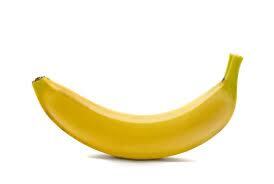 Writing poetry is my banana. Strange I didn’t realize that till just now! Wow…thanks so much. That is really fun for me that this post helped you see poetry as your banana. That’s a good banana. Where has your blog BEEN all my life?! I’ve needed it. This is especially fabulous: “I was fully engrossed in sitting” … and this of course: “We talked about how discovering transcendent joy could bleed into every aspect of life, how it could enrich everything we touch.” Forget commenting. I’m simply going to quote you back to you: “There are things that ignite us and remind us of what a flabbergasting privilege it really is to be alive.” … What Tool is to you, Sarah McLachlan is to me. But I’m a girl, so that’s appropriate. : ) Laughter, idiotic humor, and poetry are my other bananas. I am so glad that you enjoyed it, Shawna. Your kind words make me smile. And feel free to quote me back to me anytime. 🙂 Sometimes I forget what I even said so that can be really helpful. For the record, I am a pretty big Sarah fan myself. My bananas do not end at uber-guy stuff like Tool. Thanks for taking the time. I read the title of the post, broke out into a short gigglefit, and automatically assumed this wasn’t going to be meant to be taken seriously. I was sadly mistaken, wasn’t I? I really enjoyed the message you conveyed here, and–not that this doesn’t regularly happen–but it really had me thinking. Aside from the nicely placed humor of the “banana” metaphor, I considered the deepness that was delved into with this, and it really inspired me to try and find my banana, something I haven’t done yet. Pretty soon, it’s going to be time for me to choose my life profession, and even STILL, I have little to no idea of what I would like to do, for the terrible confusion of having interest in so many totally different things. However. When I think about it, and narrow it down, considering what’s really my bananas and what’s not is a big help. If I had to choose my banana, honestly, it might be literature, as vague as that is. I love writing and reading, and everytime I do I have an elating sense of freedom and carelessness, and though it annoys many of my acquaintances, I do enjoy talking about it. And then there’s music, which has a similar effect on me. I’ll definitely look into my bananas more closely when it’s time. Sorry for the late reply – I have been a bit absent. Thanks for taking the time to comment. One of my favorite parts of the Banana Doctrine is that you get to spend so much time considering what really lights you up. The act of deeply thinking on things you love can all on it’s own lead to very joyful moments. I’m so glad that this post helped you to do some serious banana searching. Oh Mitchell your babies are wonderful and have so much love in they’re little hearts, I miss them hope to see them in the next two weeks because I’m leaving earth origins for good now 🙂 ( you know how heartbroken I am over leaving :P) lol but I will follow your blogs and Facebook to watch those little beauties grow! I love your family and hope for nothing but the best for them, and hopefully we can reconnect sometime! I’ll miss you guys! You will be greatly missed, my friend, but I know that it is probably best for you that your time there ends. I hope we see you before you go, but if not, we will stay connected. You are a joy to have in our lives. Ahh… One of life’s greatest adventures: Finding your banana!! 🙂 LOVE it! My moods change quite a bit, so it’s always changing for me… But Music… Oh sweet music will always be at the top for me. Tool has been with me for many years as well & has seen me through difficult relationships/experiences/etc. Nine Inch Nails, Type O Negative, Incubus, Dave Matthews… All of these guys have been instrumental to my being. One of my bananas that I keep going back to is running. SO therapeutic. My chance to be alone, to get away from it all (4 kids mind you… Oh vey!). Anne-Marie Clark (@AMWClarkeLaw) shared the link to your post when she recently read my post with almost the same title! I wasn’t sure anyone would really understand where I was going with the analogy! LOL! Me? I have a bunch of bananas that I enjoy. But my greatest joy is sharing them. Loved your post!